This memorial website was created in memory of our loved one, Jack Ely, 71, born on September 11, 1943 and passed away on April 27, 2015. Where Jack Ely is buried? Locate the grave of Jack Ely. 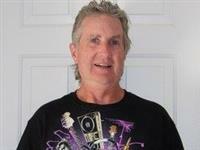 How to find family and friends of Jack Ely? What can I do for Jack Ely? was an American guitarist and singer, best known for singing the Kingsmen's version of "Louie Louie". He was born in Portland, Oregon; his father died when Jack was four. Ely was classically trained in piano and began playing guitar after seeing Elvis Presley on television. In 1959, he co-founded the Kingsmen and with them recorded "Louie Louie" in 1963; Ely's famously incoherent vocals were partly the result of his braces and the rudimentary recording method. Before the record became a hit Ely was forced out of the group and began playing with his new band, the Courtmen. He died in Terrebonne, Oregon, in April 2015. Note: Do you have a family photo of Jack Ely? Consider uploading your photo of Jack Ely so that your pictures are included in Jack Ely's genealogy, family trees & family history records. Sysoon enables anyone to create a free online tribute for a much loved relative or friend who has passed away. Address and location of Jack Ely which have been published. Click on the address to view a map. Jack Ely was born in United States. 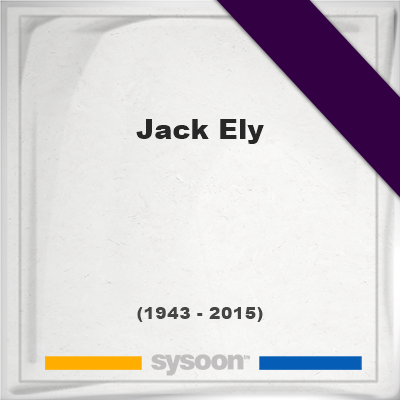 Jack Ely died in United States.